Hurricane Harvey has caused devastating, widespread damage throughout the Gulf Coast of Texas and so many in Dutchess County are eager to help the flood ravaged victims of this natural disaster. The impact will be felt for years to come and the need for relief will be ongoing. Dutchess County Executive Marcus J. Molinaro encourages residents, organizations and businesses to support relief efforts with donations of money and/or time through trusted, reputable, voluntary or charitable organizations. 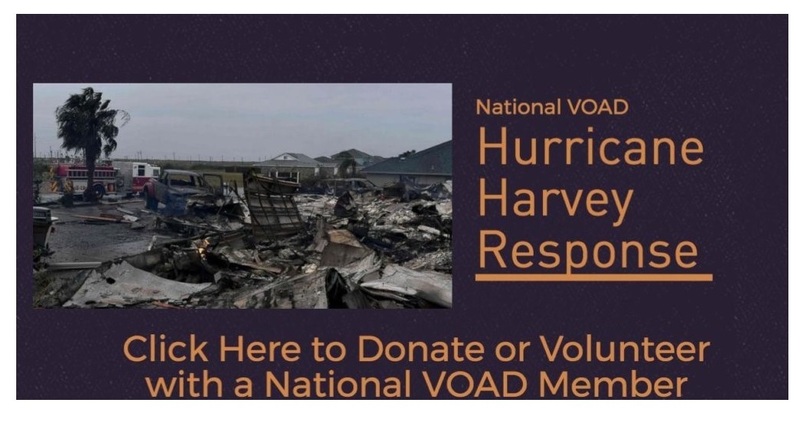 The National Voluntary Organizations in Disaster (NVOAD) website is an excellent resource to find trusted organizations who are participating in a coordinated, national effort to assist. The NVOAD also links people interested in volunteering to organizations that can best utilize their talent and time. “As our generous community seeks to help out our fellow citizens in need in Texas, let us be sure our assistance is helpful and beneficial to the victims. Monetary donations provide immediate assistance and donating through organizations such as the American Red Cross, the Salvation Army, the United Way and others who are part of the VOAD association, provides you with the assurance that your support is going to where it is most needed,” said County Executive Molinaro. Individuals and organizations are asked to not “self-deploy” - unexpectedly showing up to any of the communities that have been impacted by Hurricane Harvey as it will create an additional burden for first responders. It is also recommended to not donate unsolicited goods such as used clothing, miscellaneous household items, medicine, or perishable foodstuffs at this time. There are specific donations needs being coordinated and information is available on the NVOAD about the specific ways you can help. Locally, the United Way of the Dutchess-Orange Region is working in coordination with NVOAD, running a supply drive to assist the Texas Diaper Bank and Feeding Texas. Needed items include diapers, pull-ups, baby wipes as well as food items such as snacks and shelf-stable pantry items. The United Way will be collecting donations through Thursday, September 7th at their Poughkeepsie and Newburgh offices. Learn more about how you can help here: http://www.uwdor.org/supplydrive-hurricaneharvey.